Fascinating, interesting and inspiring are just a few of the words that describe the exclusive Cape Town Diamond Museum. Located in the heart of Cape Town at the iconic Clock Tower at V&A Waterfront, the Cape Town Diamond Museum offers an insight into the diamond world as you have never seen it before. With numerous five-star reviews on TripAdvisor, there’s no denying why this unique diamond experience remains one of the top tourist destinations in the Mother City. International and local visitors alike describe the exquisite experience at the Clock Tower as educational, child-friendly and truly captivating. Open for group bookings and for individual travellers, the Cape Town Diamond Museum is open from 9am-9pm daily with tailored add on experiences available on request. After the fascinating tour of the Cape Town Diamond Museum, visitors have the opportunity to view the beautiful Shimansky showroom where finished diamond and tanzanite creations are on display. Our diamond experts will continue to tell the captivating story behind the iconic designs and the journey of each diamond, ethically sourced from mine to finger. Visitors wanting to take home their own rare and exquisite piece of Africa, marking their special time in Cape Town forever, can do so, or they can sit down with a Shimansky jewellery designer to bring their own bespoke creation to life - ready for collection within 48 hours. The Cape Town Diamond Museum is truly a must-see destination for visitors in Cape Town. Come and experience the diamond cutting and polishing process, and discover the wide selection of jewellery and beautiful designs the Shimansky showroom has to offer. Our selection of signature jewellery designs will take your breath away. 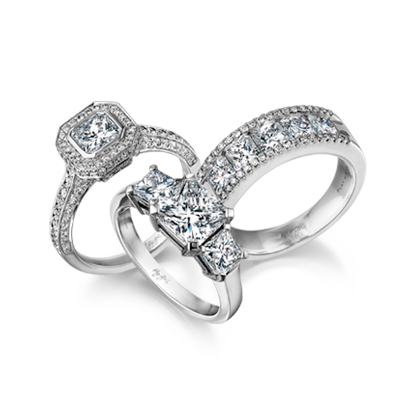 Discover our classic yet contemporary designs such as the South African icon, the Millennium, and internationally patented diamond, the My Girl. Find out exactly why the Cape Town Diamond Museum is the leading tourist destination on TripAdvisor - Book your tour today!